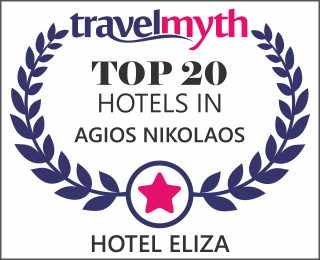 The ELIZA HOTEL is situated next to the town of Agios Nikolaos Crete. From the city center and the spectacular lake is 1500 meters away and the ride is a beautiful seafront promenade. 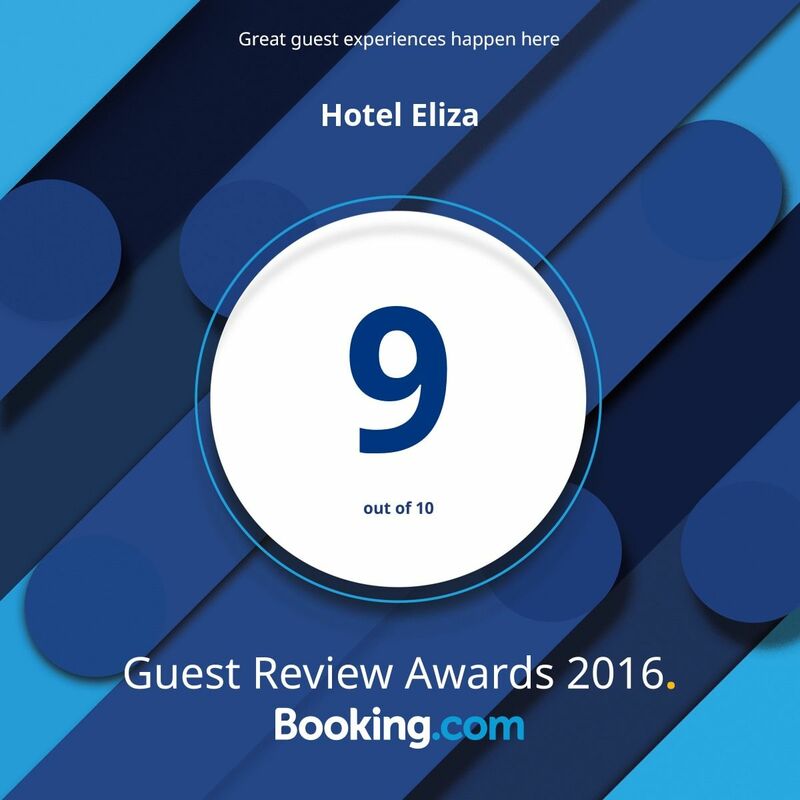 The ELIZA reminds a little old Cretan neighborhood by 6 storey houses in the garden, different from one to another with a capacity of 2-5 people. The particular architecture yet with the natural environment provides a sense of relaxation and discreet isolation. 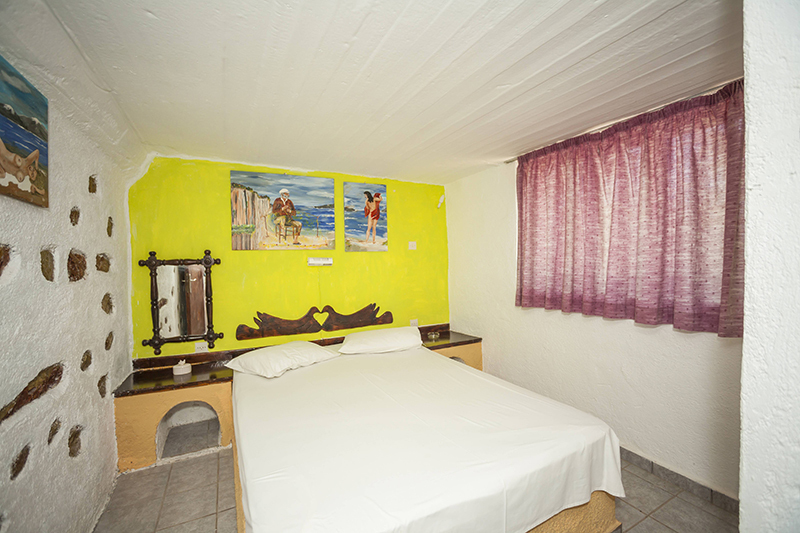 Sea is 70 meters and 400 meters away from the famous sandy beach of Ammoudi. From the bus stop is 50 meters. 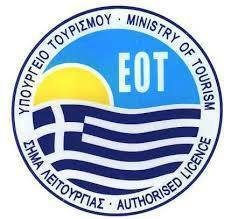 from where you can go to local tourist attractions such as Elounda, Spinalonga, Kritsa etc. The view from the terrace of houses and all common areas of the garden and the pool is in the calm sea waters of the Gulf of Mirabello. 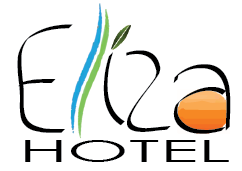 The peace and tranquility of the area make ELIZA ideal destination for a relaxing holiday. 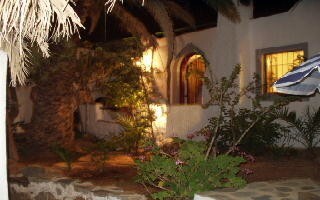 All cottages are fully equipped, air-conditioned, including what exactly you need for your holidays, to make your stay as comfortable and enjoyable it can be. There is always free wi-fi. 28,00 m2. Great low stone aesthetics . 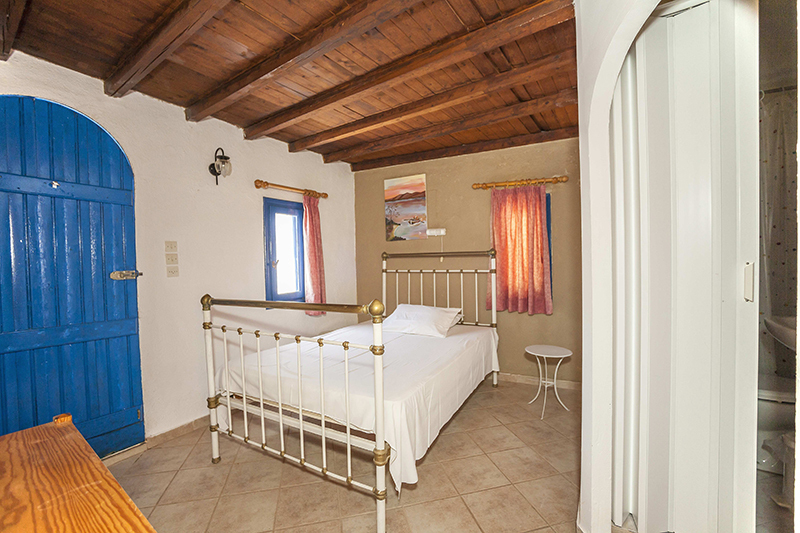 The bedroom has a double bed and the living room has configured another area with bed, and kitchen corner . For terrace roof gazebo and raised garden area . 53,75 m2. Elevated with large terrace overlooking the sea . 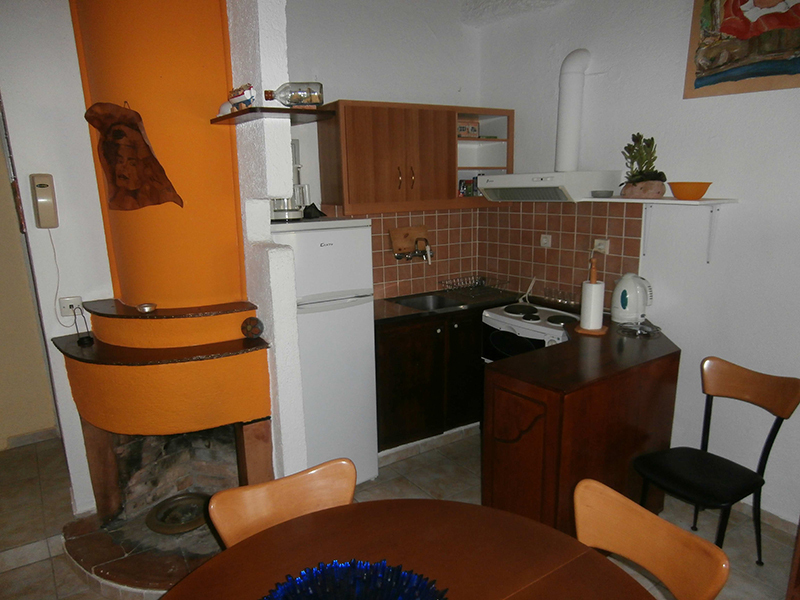 With two large bedrooms with double bed , large living room and separate kitchen with oven . The toilet has a shower . 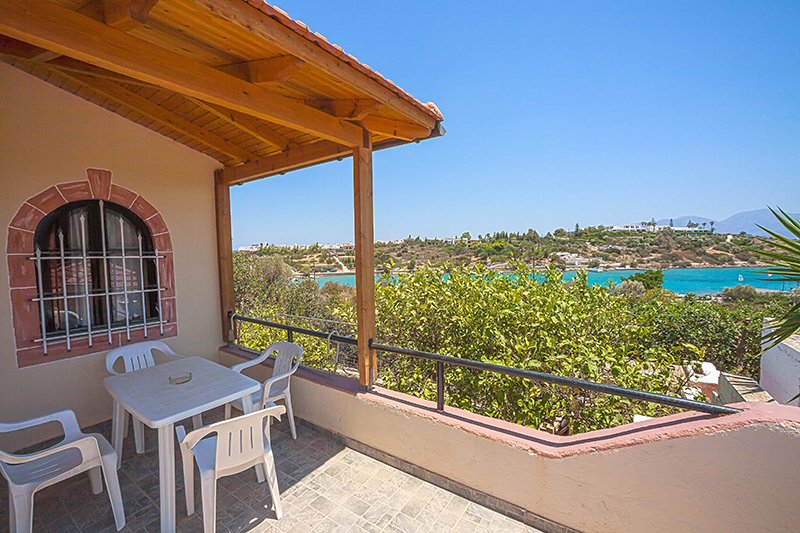 From the terrace, also have unobstructed sea views of the city and the famous Byzantine church of the 6th century AD Two AC help on hot days of summer and the winter , if you choose us for your holiday, air conditioners and the fireplace will help to keep the area warm . 33,00 m2. 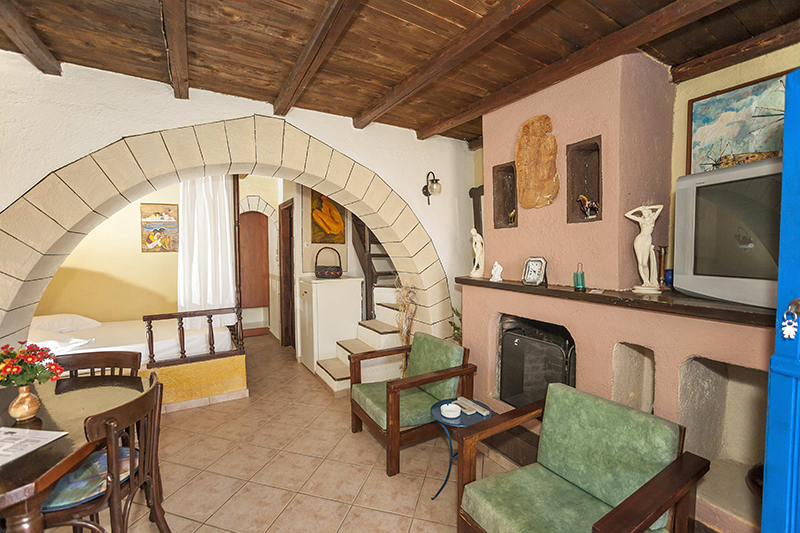 This apartment-villa has a seperate bedroom and one openarea bedroom. 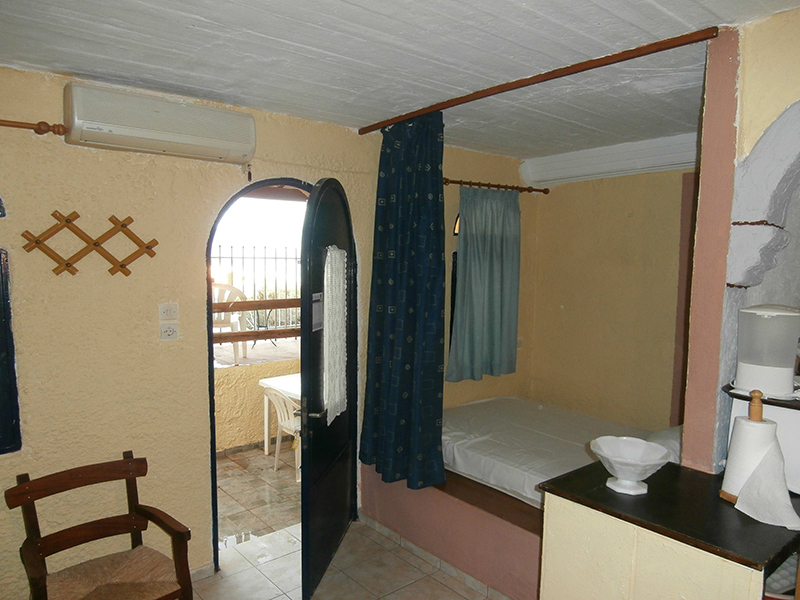 Is just by the pool and from the balcony over the pool, you can enjoy the view to the sea. A fireplave is in the sitting room if you deside for Winter holidays. Studio Νο4 - studio for 2 pers. 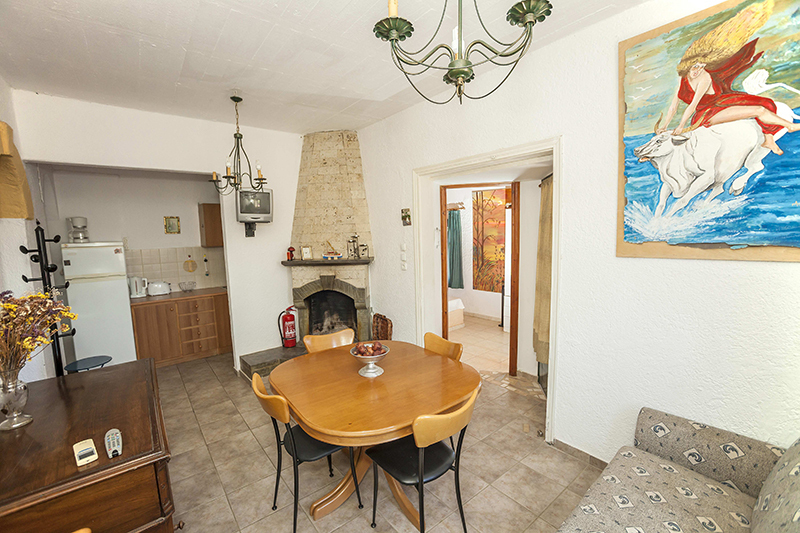 20,70 m2. 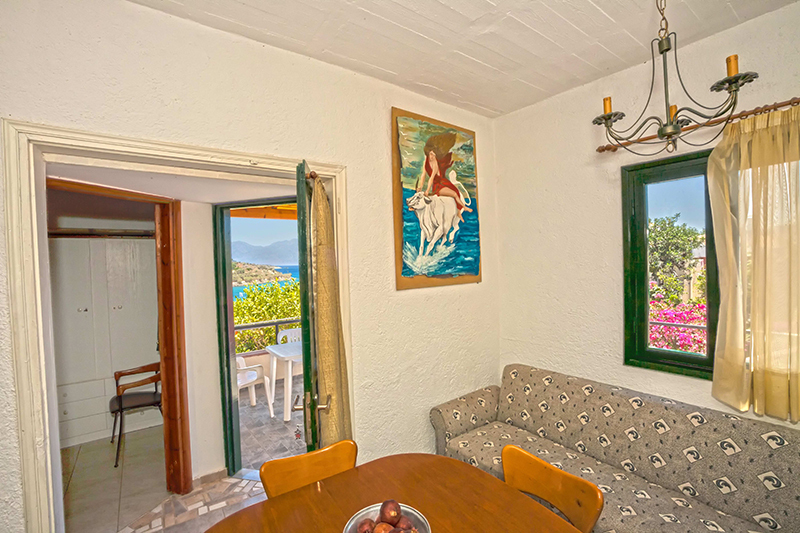 Enjoying sea views and the garden from its balcony, this air-conditioned studio comes with a fireplace in the seating area and a kitchenette and a bathroom. It has access to a seating area in the garden. 41,50 μ2. 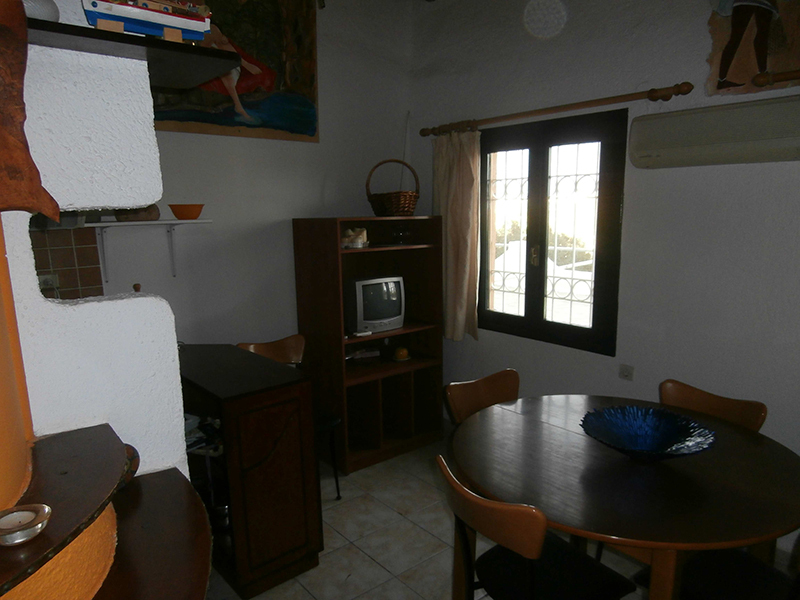 A big apartment-villa with 2 seperate bedrooms and extra bed if you like. Just next to the open swimming pool with sea view. You can enjoy the garden as it is surrounded by open space. 52,75 m2. This apartment-villa is in two floors. 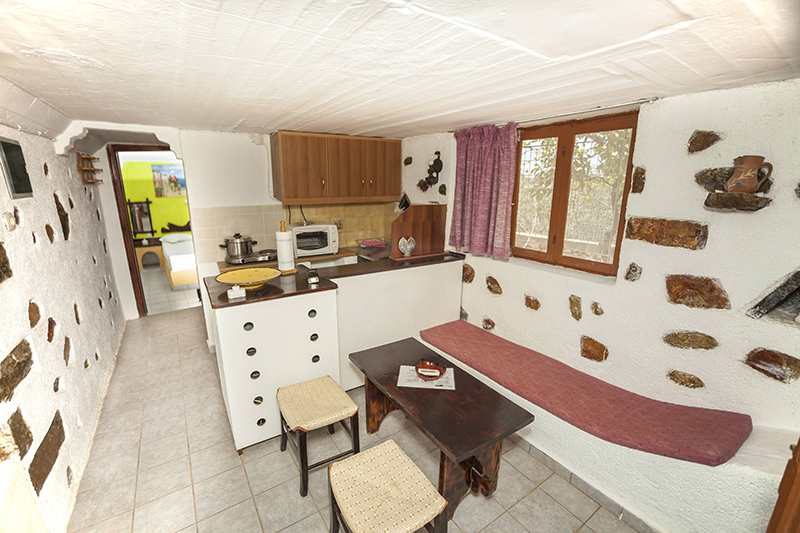 All is building in a typical cretan style House. In ground floor there is a sitting room, kitchen, bathroom, openarea bedroom. In 1st floor is the main debroom with shower room. Terrace with sea view and full of Sun. Here are 2 AC and 2 TVs. 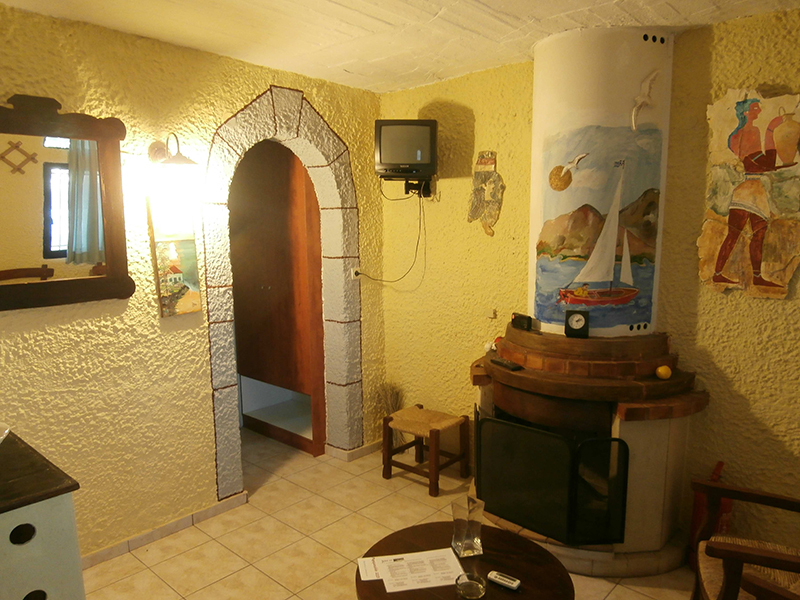 With accomodation of 10 days we offer you 1 day for free and over 20 days of acomodation and more, we offer you 2 days. This offer isn't valid together with other offers or discounts.